I understand how to assess whether an exponential/normal distribution is suitable to model a piece of data when the parameters are given, i.e. finding the theoretical quantiles and plotting against the sample quantiles. However when the parameters aren't given e.g. for exponential, lambda is unknown then how would you find theoretical qunatiles, and the same for the normal distribution too? The fundamental idea is that you're judging whether the Q-Q plot is essentially linear. You don't need to know the equation of the line in order to judge linearity. However, if you do know the parameter(s), then you can know the equation of the line. And by estimating parameter(s) you may be able to get a good approximation of the equation. Default Q-Q plots in R put the theoretical quantiles on the horizontal axis and the quantiles of the data on the vertical axis. In North America, perhaps it is more common to put the quantiles of the data on the horizontal axis; in the graphical qqnorm you can use the parameter datax=T to do this. For easier comparison with a plot of the empirical CDF, I will put data on the horizontal axis in my examples. 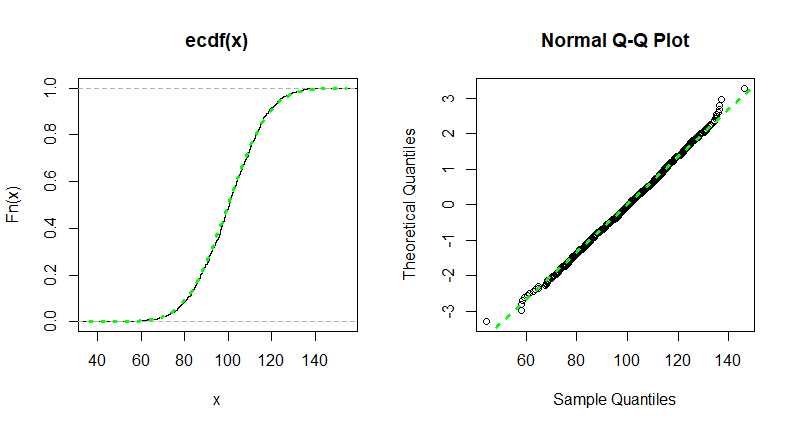 The ECDF of a sample puts probability $1/n$ at each data value; if $k$ observations are tied at a single value, then the probability of that value is $k/n.$ For sufficiently large samples the ECDF of the sample closely matches the CDF of the population distribution. Normal example. 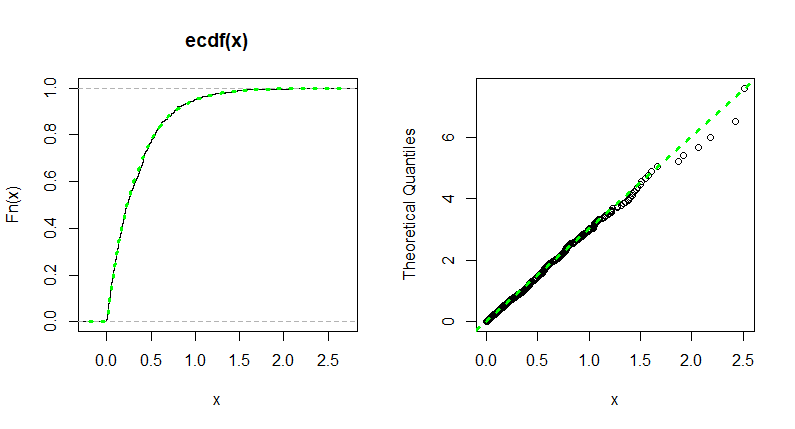 Generate a sample of size $n = 1000$ and make a normal Q-Q plot. Even when data are precisely from a particular distribution, you should not expect all data points at the extremes of the sample to fall really near to the straight line corresponding to that distribution. Again here the ECDF very nearly matches the exponential CDF and the the line $y = \lambda x$ is a distorted version of the CDF. Not the answer you're looking for? 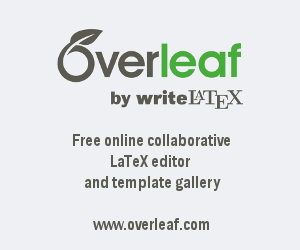 Browse other questions tagged statistics data-analysis quantile or ask your own question. Strategy for fitting a complex distribution model to empirical data? Checking if pseudorandom numbers fit a normal distribution. Exponential is to Poisson as Normal is to ?? ?